Hazmat School’s OSHA 300 Recordkeeping and Reporting for workplace injuries and illnesses course is an online safety course for employees or supervisors/managers that are responsible for recording and reporting any workplace injury or illness. Our course is based on the requirements found in 29 CFR 1904 and has been updated with all recent changes to the regualtions. 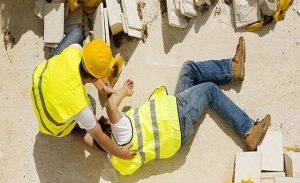 The goal of this course is to help you keep a proper record of injuries and illness to prevent and minimize accidents in the future. This course is a powerpoint with audio so you will need a computer or iPad with Internet access, speakers, and an email account. All course materials are available throughout the course including great reference links to use after the training. The course will take approximately 1 hour or less to complete. Once you get enrolled in the course you can get started right away. The course is designed to be self-paced and you will have 30 days to complete it and can come and go as you need. After one month, you will need to re-enroll if you have not finished. Upon successful completion of the course you will receive a pdf certificate right away.